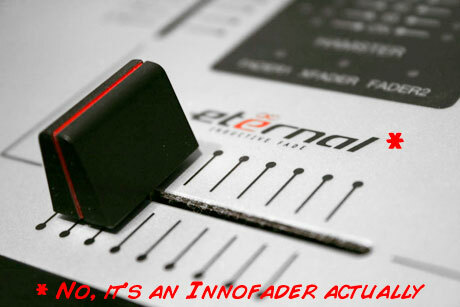 The Innofader is in the skratchlab people, embedded with zero wire cutting or soldering nonsense at all. Such is the joy of Audio Innovate's Innofader. The Ecler HAK360 has what I have always considered to be the daddy of all faders. The Pro X Fade sure is good, but the Eternal fader has always felt buttery smooth, with silly levels of lag and curve adjust. but it's a long way from wallet friendly. But now, the Innofader has taken the place of the Eternal for a while, so that I can push it around, mock it and generally be mean to it. I'll be smacking it upside it's head and telling it it's got big shoes to fill. Once upon a time ( like 1998 ), a dutch company called N2IT had the spark of an idea - making some sort of system that allowed you, the DJ, to manipulate computer based digital music. This consisted of timecoded vinyl, a custom sound card and software written, for some completely insane reason, for the potentially great but staggeringly unpopular BeOS. They named this product Final Scratch, and being the visionary people that they were, they took it upon themselves to patent this idea - good plan. Hooking up with Stanton and Native instruments, Final Scratch evolved through different versions, to what we have today - Traktor Scratch. Smelling blood, N2IT's legal dogs were uncaged and had NI soiling their pants. But all is now well, with N2IT and NI sitting in a tree, c-u-t-t-i-n-g.
Usually news is delivered from these pages on a global scale. But this is just for one country, albeit the largest vistor to my ickle tiny England based site. 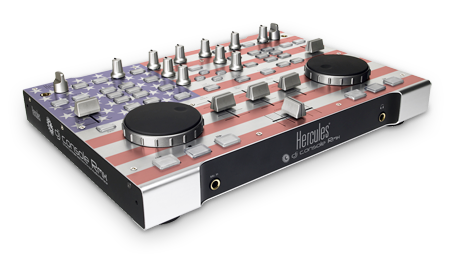 Even though the Hercules RMX seems to follow the now established blueprint for MIDI controllers laid down by Vestax, Hercules' experience in the MIDI controller market shouldn't be ignored. So just for the US readers, the RMX is now available from all good disco boutiques stateside right now for the paltry sum of $349. As you know, Allen & Heath have gone through some changes recently, and so is one of their products. The big assed MIDI mixer/controlling xone:3D is getting a facelift and a version number update. The familiar somewhat science project Hammerite feel will be gone, replaced with a darker look and feel. People - the xone:4D is coming in gleaming black and with a few updated details as well. We've waited, waited and waited some more (you have no idea...really) but finally the Mackie d.Pro series of mixers (well 2) finally made into skratchlabs around the UK. 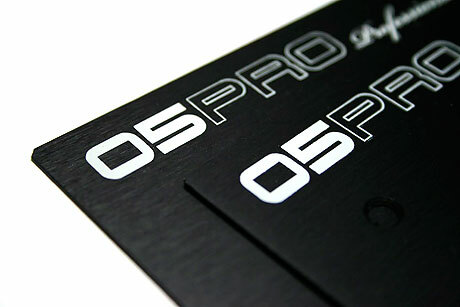 I was endowed with a d.2 Pro to beat the living crap out of, especially with Traktor Scratch and Deft got his maulers all over the probably more eagerly awaited d.4 Pro. Times change - tastes evolve and technology marches onwards and upwards. But in the scratch scene, one thing will never change - you need 2 copies of DirtStyle's Superseal wax in your record bag. It's been a decade since the original release and all manner of different styles of battle wax have appeared, so I guess now is the time to bring out a sequel. 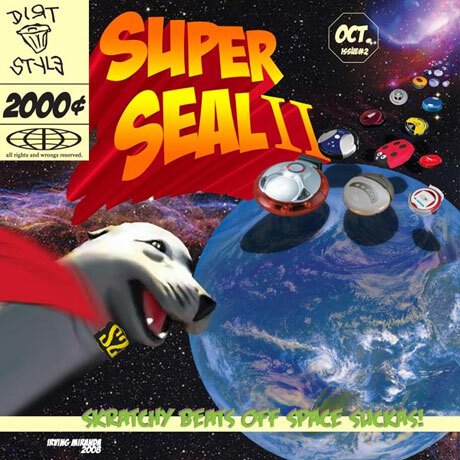 Superseal II is upon us people. As the planet goes social networking crazy, and the next myfacespacebebobook.com is just around the corner, having one targeted at DJs and electronic musicians can only be a good thing. Enter weeloop - a place where you can have your own profile URL (http://skratchworx.weeloop.com for example) and make the space very much your own. Community is the name of the game here as well as showcasing your stuff to the expectant target audience. Despite owning and running the hotbed of DJ pr0n that is , I'm still somewhat of a Luddite when it comes to playing music. I likes me vinyl I do and no mistake guvner, and largely leave the computer only style of spinning choons to the hotter younger things. But when I saw one of these new fangled softwares actually using a turntable, my interest was piqued enough to wonder if I should really take my head out of my arse and learn Ableton. 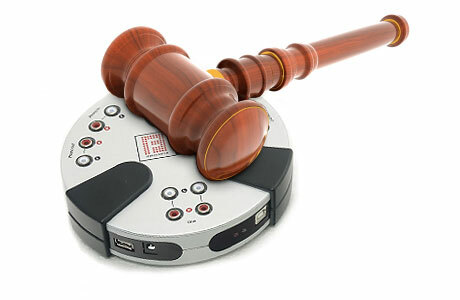 05 LE faceplates - win one! "Limited Edition" tends to mean just that - you scuff or break the usually expensive item in question and you're screwed. What's that? 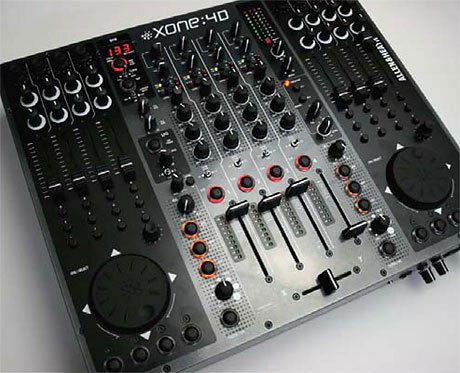 You actually used your 05 Pro Limited Edition mixer and now it's looks less that factory fresh? Oh dear... oh deary deary me. So what's to do? Why not check out Brimstone Productions and fit your soiled by human hand 05 LE with a whole new showroom condition faceplate. 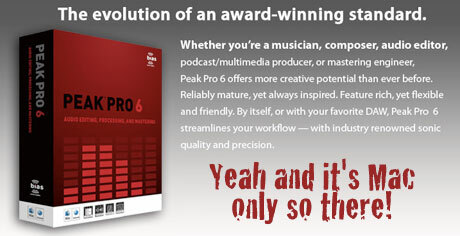 Whereas the previously reported FL Studio is for PC using creative types, Bias Inc's Peak is for Mac using backroom johnnys twiddling the knobs and honing the sound. And while they operate largely at opposite ends of the audio creation spectrum, there is a certain overlap zone where they share common features. Mac users will be familiar with Peak - it seems to have been around since Steve Jobs donned his first turtle neck and has certainly raised it's game with this new version 6.